Have you ever observed the seemingly infinite reflections of yourself when standing between two parallel mirrors? This phenomenon of self-similar repetition is an example of recursion, which can be observed in nature and also has broad applications in the sciences. Seeing connections to the discipline of playing the viola and its repertoire, I was inspired to use the concept of recursion as a guiding metaphor for this project. Identifying pieces which thrive on the self-similar repetition of musical cells was one of the unifying principles behind the choice of repertoire on this recording. These works exemplify the special quality of the viola's sound world, highlighting the inimitable characteristics of it's dulcet and melancholic voice. But at the same time, they demonstrate that the viola is a mutable instrument, capable of a broad palette of expression. Recurring throughout this recording is also a sense of journey, real or imagined. Pórt Na BPúcaí conjures a fairies' lament originating from the Blasket Islands off the West coast of Ireland, Chahagir (torchbearer in Armenian) sends us on a spiritual trek to Armenia, and Rubbra's Meditations travel across time to the Byzantine era. And going beyond a sense of physical place, all of these works vitally engage the imagination as a vehicle to transcend the everyday. Stravinsky's ephemeral Élégie for solo viola brilliantly succeeds in creating a transportive listening experience. Recursions begins and ends with passacaglias by two great composer-performers. Biber was a gifted violinist and this passacaglia represents possibly the greatest solo violin work before Bach. Hindemith, primarily remembered today as a composer, was also a leading violist of his day whose legacy of works for the viola have been lovingly embraced by subsequent generations. Their examples, along with others, have inspired me to throw my own hat into the ring with Five Migrations. Recursions is the debut solo album from renowned violist of Brooklyn Rider and The Silk Road Ensemble, Nicholas Cords. The album explores the broad spectrum of the viola repertoire, including works by Biber, Hindemith, Rubbra and Stravinsky. 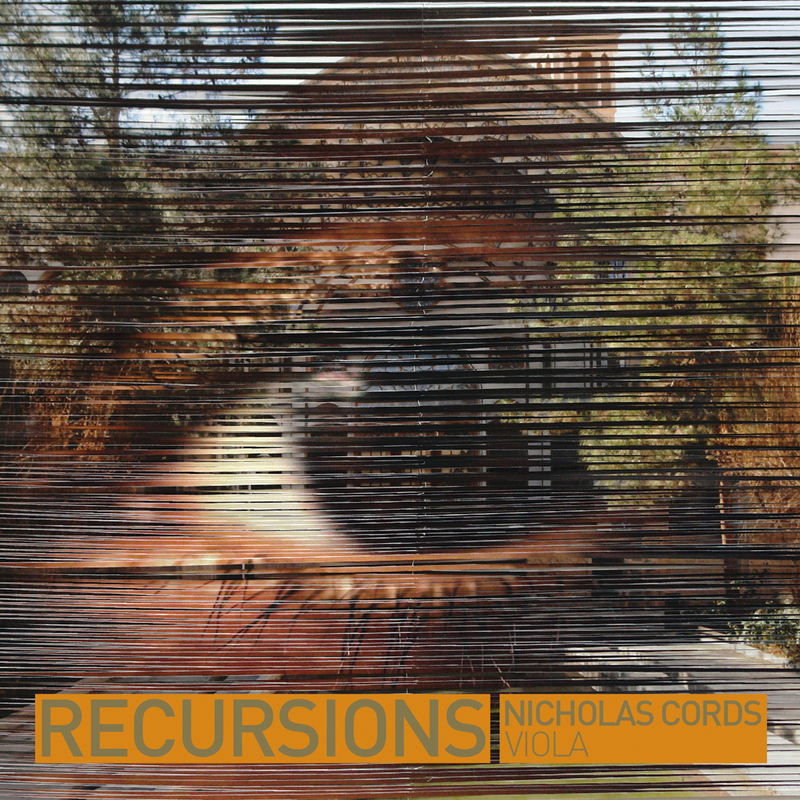 Recursions takes the listener on a journey across time and geography, from the Byzantine era to present-day Brooklyn, with stops in Ireland and Armenia along the way. 'The listener comes away from the performance newly sensitized (Beethoven's) relevance and greatness, but also impressed by the sincerity of Brooklyn Rider's rendering. That the quartet manages to make the piece sound so fresh and vital speaks volumes about the dedication the group brings to the recording as a whole. This is Beethoven through a different lens, reminiscent perhaps of fin de siècle quartets like Capet and Rosé...A wonderful record to challenge seasoned listeners and embrace hesitant newcomers. Tautly exciting, a thrilling alternative to the standard interpretation.